Our 80s tribute bands authentically recreate the decade that style forgot, with big synthesisers, bold colours and bad hair! Channelling the spirit of bands like Aha, Duran Duran and Frankie Goes To Hollywood, our 80s tribute acts are fantastic dancefloor fillers. With back-combed hair, rolled up sleeves and stretchy spandex, these bands send you back in a time-warp to the greatest decade of pop. Whether you’re looking to hire a dedicated tribute show or a band that plays a variety of hits from throughout the decade, our selection of 80s party bands have you covered. Perfect for weddings and retro-themed parties, you’ll be singing along to the best 80s hits like ‘The Only Way Is Up’, ‘Relax’ and ‘Girls Just Wanna Have Fun’. We have a mixture of male- and female-fronted bands and many offer their own DJ services and lighting. Our 80s tribute bands for hire can often mix up their repertoire with pop from across the decades for their second set, if preferred. A hard-grooving 80s tribute act whose dynamic show recreates the energy and optimism of the happiest, brightest, most colourful and outrageous decade of them all! World-class, male-fronted 80s tribute act. If you’re looking for a night of 80s classics, look no further! Totally 80s play songs by some of the most popular acts of the era including Duran Duran, Genesis, The Human League and Wham! A refreshingly fun party band who have performed with Bucks Fizz! The band can play rock & pop music through the decades or alternatively offer a 1970s or 1980s-themed show. Additional female vocals and DJ service also available. 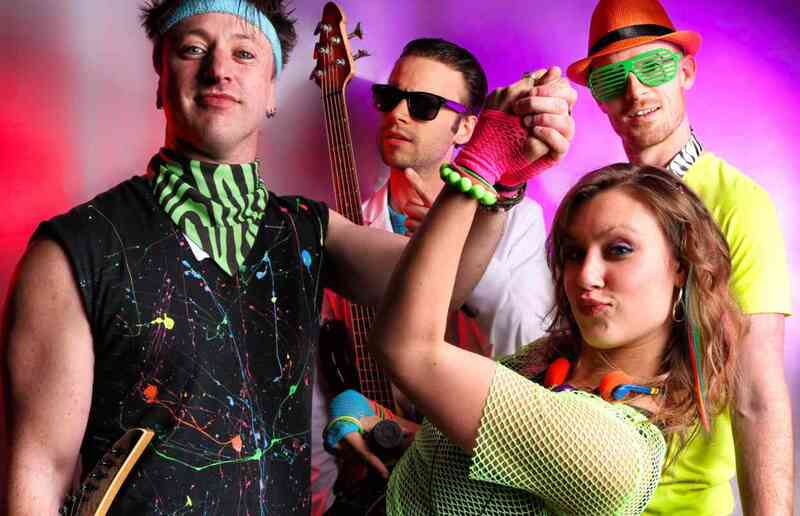 Dance your way through a decade of 80s pop with this high-end 80s tribute band! Incredible visuals and a huge sound. Additional musicians available.